Don the PlayStation VR headset* to suit up as the Armored Avenger in an original Iron Man adventure! Using two PlayStation® Move motion controllers** fire up Iron Man’s Repulsor Jets and blast into the skies with an arsenal of iconic Iron Man weapons at your fingertips. Face off against Iron Man’s greatest foes in high stakes, action-packed battles. Upgrade tech in Tony Stark’s garage to customize Iron Man’s sleek suit and awesome abilities. 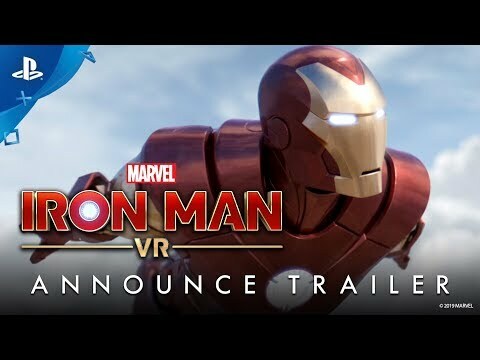 The upcoming Marvel's Iron Man VR PS4 release date is 2019 in the US and the UK. Notify me when Marvel's Iron Man VR is available.